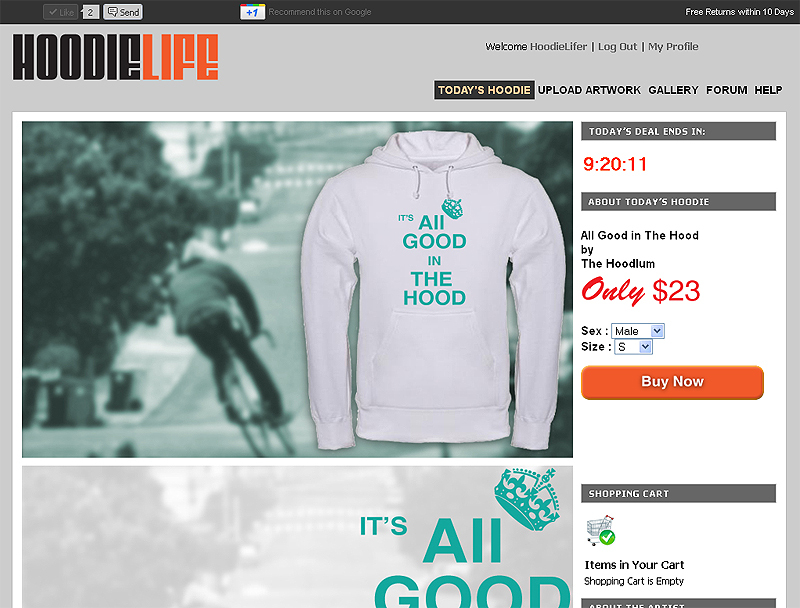 HoodieLife features a new graphic hoodie every day, designed by an independent artist. Every 24 hours they post a new hoodie for sale for just $23.00 plus a measly $4.99 shipping. HoodieLife works closely with freelance artists to feature their unique talents, and make their work accessible to the HoodieLife community. visit the HoodieLife website today!